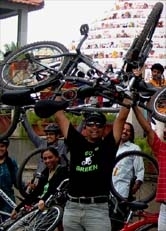 This month's Endurance Ride towards Big Banyan tree base : 31 July 2011 - GGI-Group size: 4000+ Professionals, Increasing on day to day basis, Come & join us 2 serve Mother Nature. 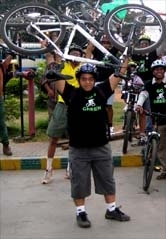 Venue & Central meeting/Starting point : wheel Sports @ Kanakapura cross Road. Click the below link to see the starting place in google maps. 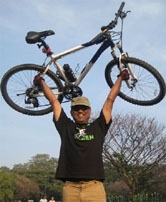 Click this link to check where is Wheel Sports..
wheel Sports @ Kanakapura cross Road.